At UICS, Austin and Ethan occasionally get to make things in the kitchen. They always look forward to days like that. 🙂 In Japan when kids work in the kitchen at school, there is a set uniform. 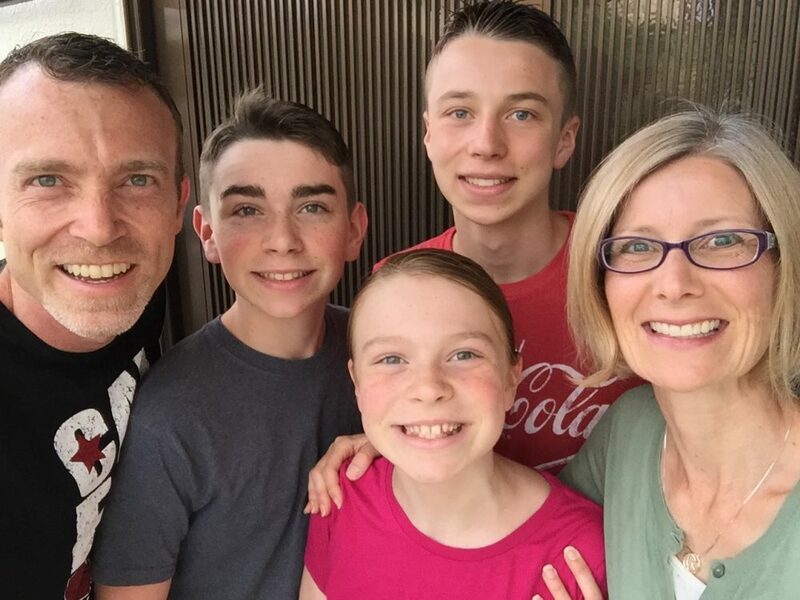 They need to wear a bandana tied on their head (to keep their hair from getting into the food), a doctor’s mask (to keep germs out of the food in case they cough or sneeze), and an apron (to keep their clothes clean). It’s easy to find aprons for kindergarten boys because many Japanese kindergartens require the kids to wear smocks for some of the day (like when they are doing crafts or eating lunch) to keep their clothes clean. So, the stores sell smocks with bullet trains, bugs, or famous cartoon characters on them that boys get excited about. But, for the elementary school set, it’s a little hard to find an apron that is large enough and boyish enough for a guy to want to wear it to school. I went looking awhile back for a school apron for Austin and just could not find anything boyish-looking. So, I decided to improvise and buy a very plain adult-sized apron at the dollar store, bring it home, and have Austin decorate it with whatever he wanted. He decided on a Star Wars theme and I think it turned out pretty cool! 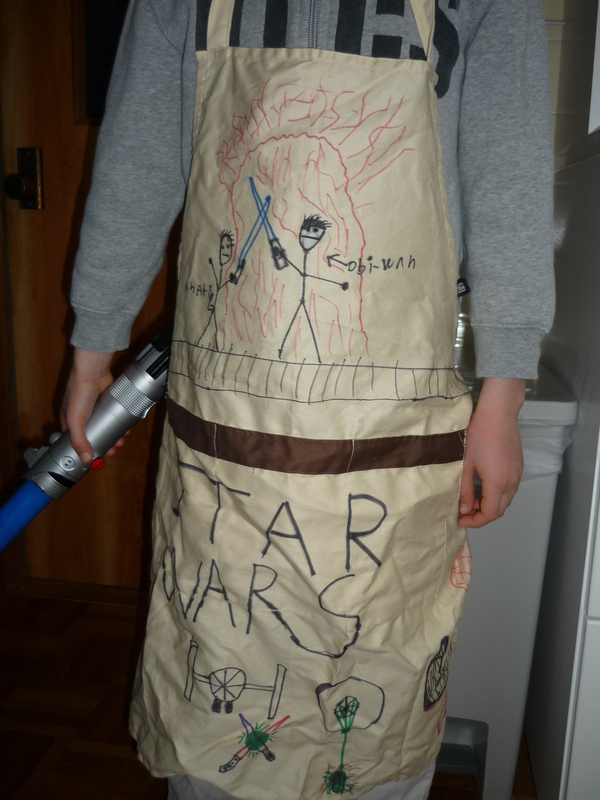 This is definitely a one-of-a-kind apron! 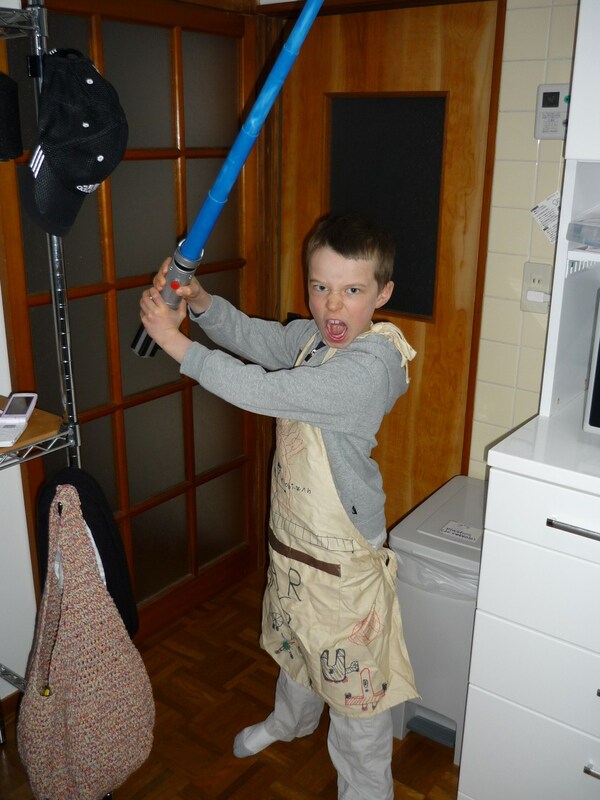 After seeing this, Ethan suddenly became dissatisfied with his school apron and wanted to make a Star Wars one for himself! I haven’t gotten around to getting one for Ethan yet, but when I do I’ll try to remember to post photos of his creation too! 🙂 Just click on the photos to see more detail.